The New Zealand Labour Party have confirmed they will make medicinal cannabis legal within their “first 100 days” of forming a government, and although less supportive than the Green Party of “broader” reforms they have not ruled anything out. 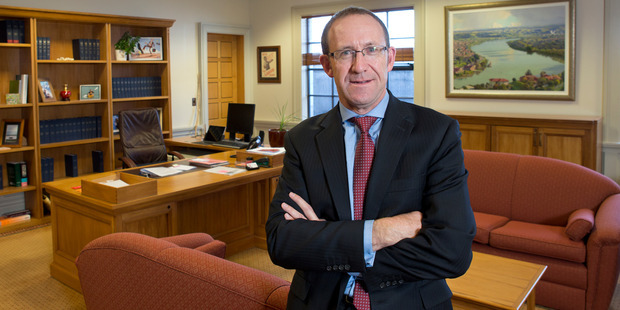 Leader Andrew Little says he wants to see more information about the impact of reforms, so make sure you send him some! Labour leader Andrew Little says his party wants to make it easier to access medicinal cannabis. The Labour caucus is now debating the issue and will come up with a formal position in the next few weeks, Mr Little told reporters at Parliament this morning. “We are aware that this is an issue and there is a willingness to look at our current policy and see whether it meets current scientific understanding,” he said. The Labour leader would not say whether the party wanted decriminalisation of marijuana use for medical purposes. But he said that the process for applying for medicinal cannabis products needed to be simpler. The party currently has no formal position on recreational or medicinal use of cannabis. Labour’s review of its position comes as Associate Health Minister Peter Dunne approved an application for a cannabis-based product for just the second time – for a patient with severe Tourette’s Syndrome. The guidelines for approving medicinal cannabis products are currently being reviewed by the Ministry of Health. At present, patients can apply to the ministry to get access to one form of medical cannabis, Sativex, which has been cleared for use in New Zealand. Applications for non-pharmaceutical-grade cannabis face a stricter set of criteria and approval is only granted to severely ill patients. Labour will legislate for medicinal cannabis “pretty quickly” after taking office, leader Andrew Little has confirmed. Little said cannabis products should be available to anyone suffering chronic pain or a terminal condition if their GP signed off on it. Labour MP Damien O’Connor has drafted a bill for Parliament that would shift the onus of decision making on medicinal cannabis away from the minister to GPs and medical professionals. 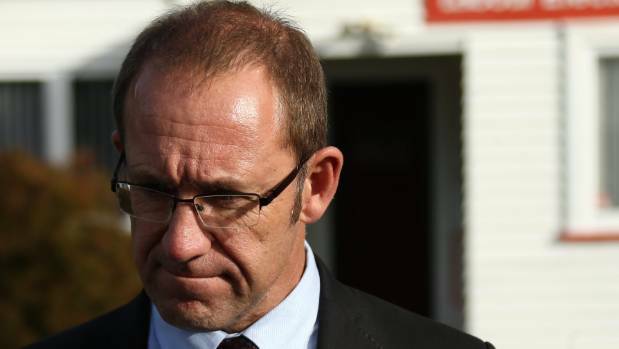 Andrew Little – admits there have been mistakes. Currently individual applications must first get ministerial approval for medicinal cannabis. The first Kiwi to do so was teenager Alex Renton who died shortly after approval was given. In a wide ranging Facebook Live interview with Stuff on Wednesday, Little said Labour would pass O’Connor’s law “pretty quickly” after the next election, should it win. But on the wider issue of decriminalising cannabis, he wanted to see more evidence. “I don’t have a moral thing about recreational drugs…my own experience of dealing with it as an issue was when I was a union lawyer, when employers started to do drug and alcohol testing and I did a lot of work on that. After a trough in the polls, Little believed Labour was bouncing back and said that was shown by the response to him out and about New Zealand. People were stopping him in the street, shaking hands and taking “selfies”. But Little admitted that some of the party’s problems stemmed from poor discipline. That was a mistake and one he bore responsibility for, Little said. Labour is calling for the raw product for medicinal cannabis to be grown in New Zealand. Labour MP Damien O’Connor says New Zealand lost out to Australia on a similar economic opportunity years ago and he doesn’t want to see it happen again. Tasmanian poppy farmers supply nearly half of the world’s legal opiates that are used to make powerful painkillers like morphine and codeine. The industry’s one of the state’s biggest employers and is estimated to be worth $100 million dollars a year. “In the ’70s NZ had the opportunity to grow poppies for medicinal purposes. We turned our back on that; Tasmania has been the beneficiary of that,” Mr O’Connor says. He says growing medicinal cannabis could also be a boost for New Zealand’s economy and would create jobs. “The opportunity to diversify our economy and the opportunity to grow high quality products for health is something that should be considered,” he says. Mr O’Connor supported a bid by Rose Renton to administer medicinal cannabis to her son Alex, who was suffering prolonged seizures in hospital. Last year Mr O’Connor put forward a bill to give doctors and specialists the right to supply medicinal cannabis products to patients in need. “Any cultivation of cannabis for medicinal purposes would have to be in a safe and secure environment,” he says. But the Government is having none of it. “From what we see, the damage in Northland, we don’t want to worsen that,” Prime Minister Bill English says. Labour says it wouldn’t want to see widespread growing of cannabis for recreational use. As for the dollar value of growing cannabis for medicinal use, Mr O’Connor told Newshub he couldn’t even guess, but says it would depend on the export potential. Make sure you are enrolled to vote – and that you vote for parties and candidates who support cannabis law reform.